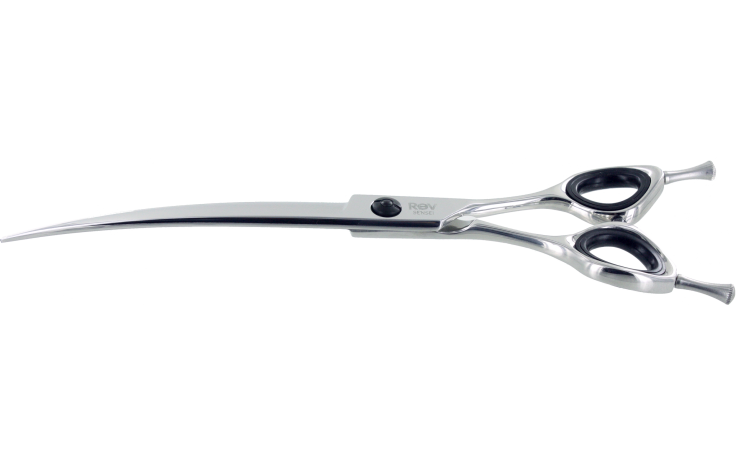 Sensei REV curved shears allow groomers to follow the natural shape of the dog in any direction. The handle allows you to hold the shear comfortably with the blades curving both inward and outward. The convex edges provide a smooth cut and the SENSEI cryo material will keep them performing for years.